A man whose construction company worked on renovations at the home of disgraced former New York police commissioner Bernard Kerik has been convicted of perjury. The Bronx District Attorney said Friday that a jury found Peter DiTommaso, of Franklin Lakes, N.J., guilty on two counts. The jurors found that DiTommaso had lied under oath in March and June 2006 when he told a grand jury that the construction company hadn't paid for renovations to Kerik's apartment. 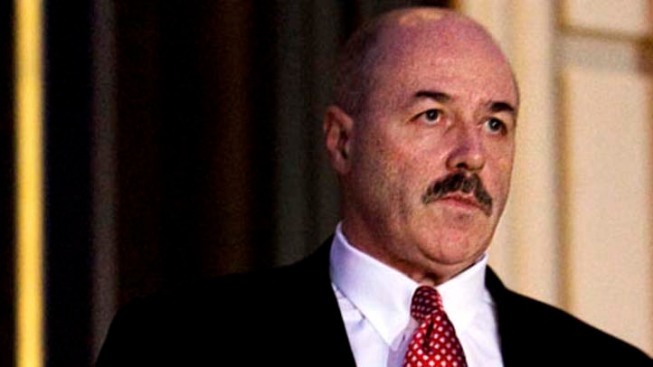 Kerik later pleaded guilty to receiving $165,000 in free renovations in exchange for helping DiTommaso and his brother obtain a license for their company. DiTommaso faces up to seven years in prison for each count. He is scheduled to be sentenced in February. Deliberations are continuing for Frank DiTommaso.